Emily Rasmussen got her MFA in San Francisco and currently resides there. 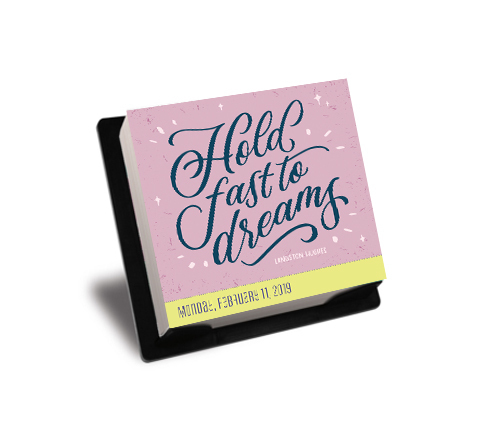 She has loved creating custom lettering since she was a little girl, when she would draw designs for her favorite bands in her notebooks! She has also worked for a range of brands including The Sierra Club and Rimowa, which shows the diversity of her creative abilities. 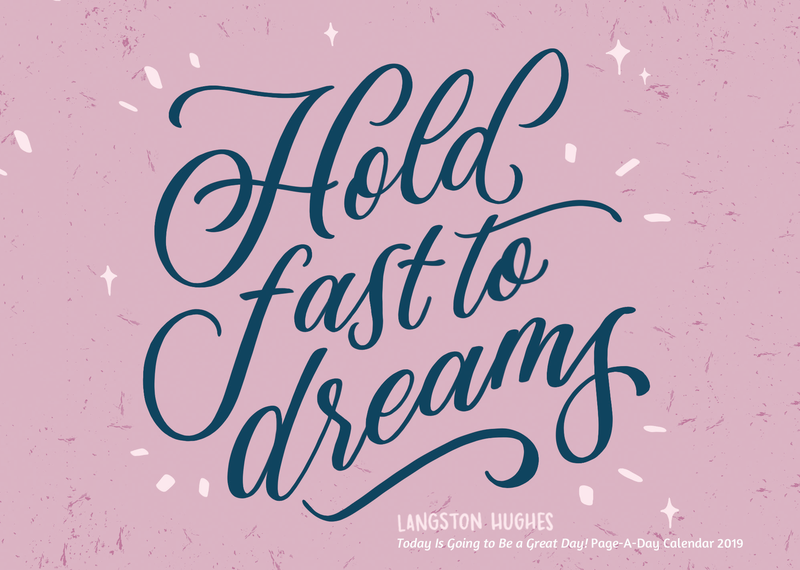 Pick up a copy of Today is Going to Be a Great Day to see her beautiful hand-lettering of this Langston Hughes quote! Follow Emily on Instagram at @emilyras and check out her website for more amazing handmade designs! Want something to brighten your Monday? Click on the below image for a full-size download! 3. Carry it around in your pocket or your purse and let it remind you that you can do it!